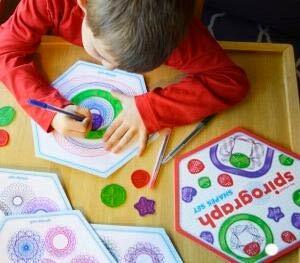 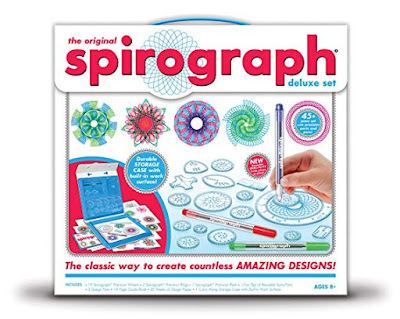 Amazon has the Kahootz Spirograph Deluxe Design Set on sale for $15.99, down from $24.99 and shipping is free. The 45-piece deluxe set includes 19 Spirograph precision wheels, 2 Spirograph precision rings, 1 Spirograph precision rack, 0.21 ounces of reusable spiro-putty, 3 retractable ballpoint pens, 14-page guide book and 20 sheets of design paper. 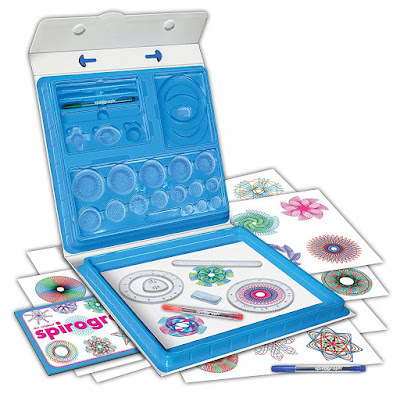 It all comes in a carry-along storage case with a built-in work surface.